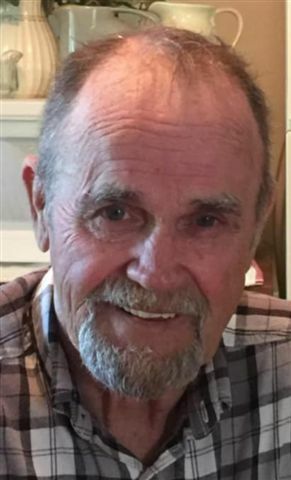 Archie Franklin Embry, age 76 of Axtel, KY died Tuesday, April 2, 2019 at Norton Hospital in Louisville, KY. He was born in Axtel, KY on December 2, 1942, the son of the late Eugan and Eva Basham Embry. Archie retired from Dal-Tile Company. He loved his family, visiting with them, his friends and neighbors. He loved to mow and kept his yard immaculate. Sitting on the porch was a favorite pastime. Archie was an avid U of L fan and enjoyed playing bingo. In addition to his parents, he was preceded in death by his siblings: Margie, Shirley, Christine, Junior, Carl Gene, Eugene, James and Lester. Archie is survived by his wife Laura Mercer Embry who he married January 27, 1968. Funeral services will be held at Trent-Dowell Funeral Home 308 South Hardin Street Hardinsburg, KY 40143 on Sunday, 4-7-2019 at 2 PM with Rev. Roger Allen officiating. Burial will be in the Sand Knob Cemetery. Visitation will be held Saturday, 3:30 - 8 PM and Sunday, 10 AM - 2 PM. Expressions of sympathy are suggested to Sand Knob Cemetery, McDaniels Cemetery of St. Jude Children's Hospital.